Every year the Jordan 11 dominates the anticipation hype. With a Bred 11 “Playoffs” restock around the corner, first pictures of the 2013 Retro XI color way “blackout” are coming out. 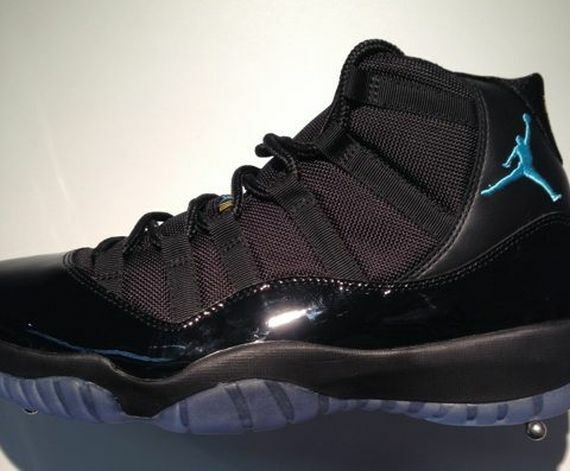 In 2012 the samples looked to be all black with a translucent sole. The most recent images suggest a light blue jumpman on the heel and icy blue sole. We should expect official pictures and launch date from Nike by the summer. Retro 3 Crimson Restocks Again!